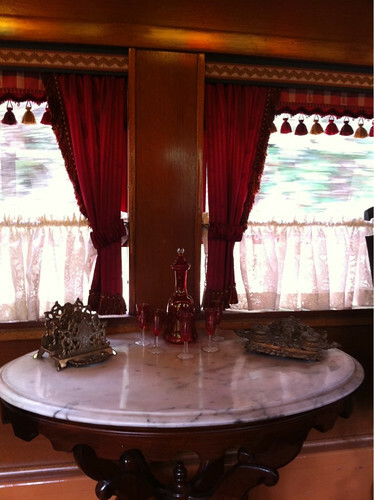 Well, one of the latest experiences to be added to my collection is a trip aboard the Lilly Belle. 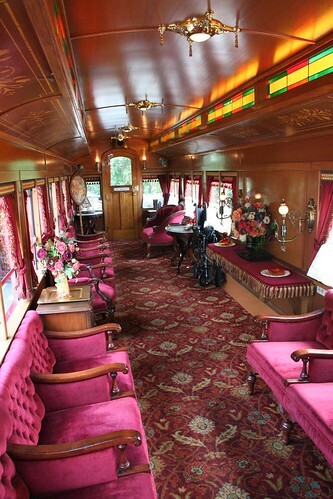 My family got to ride in the Lilly Belle, along with 2 other small groups. The Cast Member who accompanied us (also because not all guests were respectful) told us stories about the car, such as how my niece was sitting in Johnny Depp’s favorite chair. 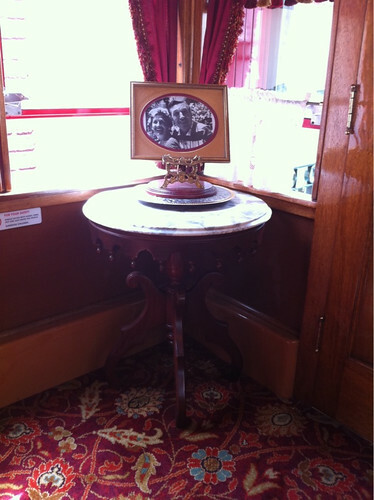 While the Lilly Belle is used to entertain special guests (such as Mr. Depp) when they visit the park, regular guests can sometimes get a ride, too. 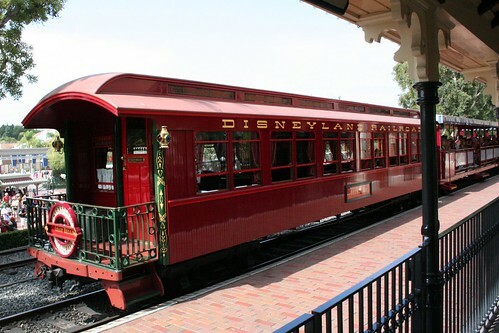 If the car is running, and you ask the station master at the Main Street station (as EARLY as you can… the spaces fill up fast!) they just might let you take a ride in this beautiful car. If you do, make sure to sign the guest book! That is too cool. I’ll have to remember to look for it the next time I’m at Disneyland. 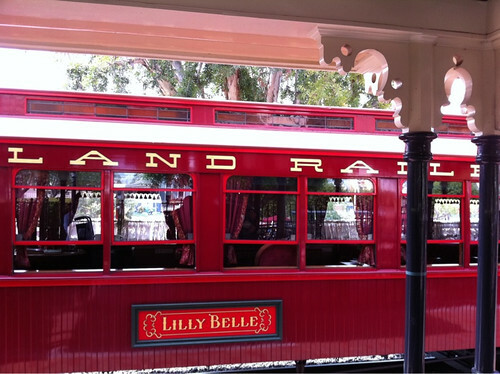 hmm, I would love to ride Lilly Belle, but would they let me?? This is actually the best reason I’ve seen for going to Disneyland. I might have to cave.